Ask Kashif: What are your thoughts on the development of music technology? 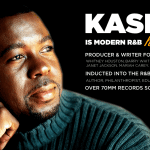 As part of our ongoing relationship with Kashif in support of his monumental documentary series The History of R&B Music we are proud to present: Ask Kashif! Where will be able to learn valuable music and life lessons through the candid answers from this icon of music. 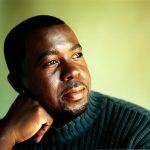 Make sure to spread the word and like The History of R&B Music Facebook Page and let your friends and fam know who are lover’s of great music and knowledge that GFM is the official home of Ask Kashif! on the web.